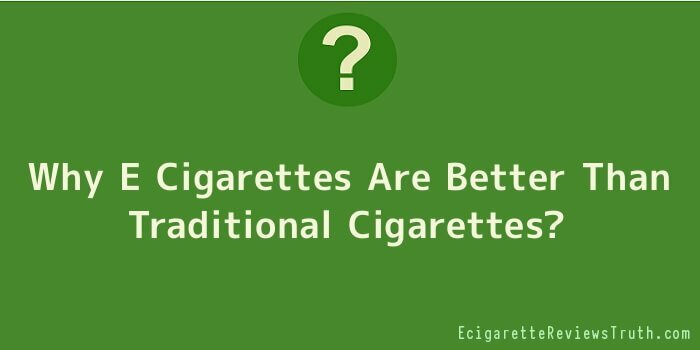 Why E Cigarettes Are Better Than Traditional Cigarettes? If you look around in just about any sort of store that sells cigarettes, then you will almost undoubtedly see advertisements for electronic cigarettes. You have also heard about how so many other smokers are dropping their packs in favour of electronic cigarettes due to them being much cleaner and better than regular tobacco based cigarettes. You are a smoker yourself and are curious about what makes electronic cigarettes so much cleaner. Well, here is some information that will put you in the know, and may even convince you to drop your packs too and switch over. Electronic cigarettes, or e cigarettes as most people call them, are simply an electronic item that allows a smoker to receive the nicotine that their body craves but without putting in all of the other harmful and addicting chemicals that tobacco companies put in their cigarettes to keep people hooked. This is all thanks to a special liquid called e-liquid. E-liquid is largely composed of water, nicotine, and much different flavouring (the most popular one is tobacco, but chocolate, vanilla and a few others are available). It is the e-liquid that makes electronic cigarettes so much cleaner in comparison to regular cigarettes. The most obvious way that electronic cigarettes are cleaner than regular cigarettes is the fact that there is no more fooling around with smoking items that leave messes behind. You do not have to deal with any ash trays, lighters, ashes, or butts. Instead, the only things you have to keep up with are the cigarette and the battery charger. Perhaps one of the biggest reasons that electronic cigarettes are so clean in comparison to their tobacco based counterparts is the fact that electronic cigarettes are completely odourless. You do not have to worry about your breath stinking anymore and repulsing all of your friends. This also means that you will be able to restore your taste buds, which have most definitely been dulled if you are a long time smoker. Another advantage to the fact that e cigarettes are odourless is the fact that there is no nasty odour sticking to your clothing and your furniture. This way you can have those same non smoking friends over to your home without worrying about grossing them out with the cigarette smell. The lack of cigarette smell on you means you may even be able to make better impressions at job interviews and such.